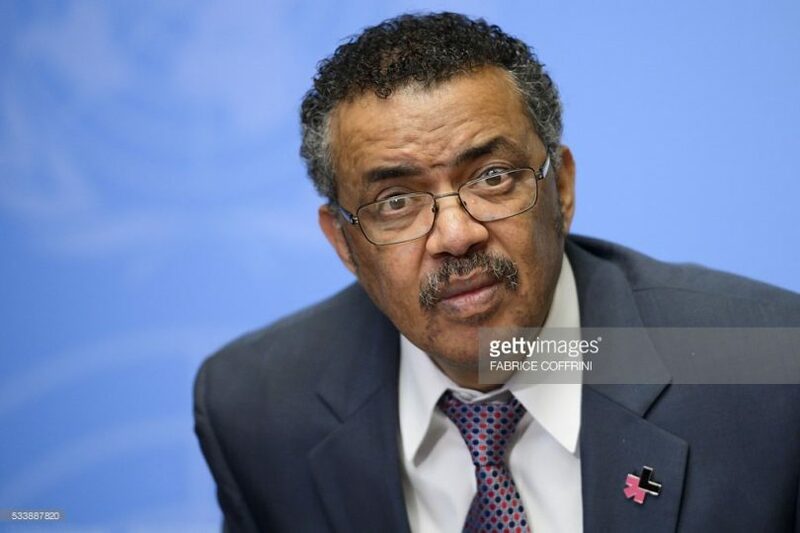 (OPride) — Ethiopia’s former health minister Tedros Adhanom Ghebreyesus is running for the post of WHO Director-General. Tedros, who served as a cabinet minister for more than a decade, most recently as the Horn of Africa country’s Foreign Affairs minister, is backed by the African Union. He was Ethiopia’s Minister of Health from 2005 to 2012, and a Minister of Foreign Affairs until November 2016, when he quit during a symbolic cabinet reshuffle to focus on his WHO campaign. But not everyone is cheering for him. 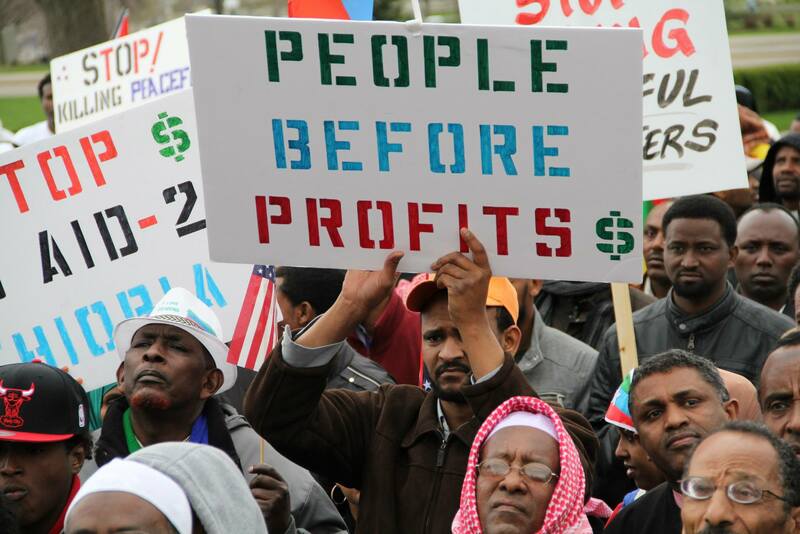 In fact, the fiercest opposition to Tedros’ elevation to the head of WHO is coming from Ethiopians themselves. Tedros’ candidacy has been a subject of contentious debate, particularly on social media, for months. There is an ongoing social media campaign under the hashtag #NoTedros4WHO. Tedros on the other hand is using a well-oiled lobbying firm to tout his accomplishment and qualifications. It helps that he is the first and only African candidate for the job. His PR machine has emphasized two key accomplishments: Reforming Ethiopia’s resource-constrained health system, and his diplomatic prowess gained during his time as Ethiopia’s top diplomat. Tedros is now the Special Adviser to the Prime Minister of Ethiopia. He is also part of the executive committee of the dominant Tigrayan People’s Liberation Front, the kingmakers in the ruling Ethiopian People’s Revolutionary Democratic Front (EPRDF). EPRDF has been in power since 1991 and has “won” the last five elections, including by a margin of 100 percent in the last two polls. 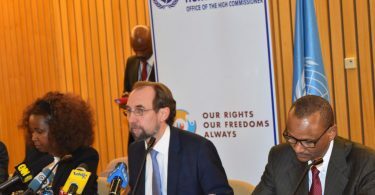 Hinging arguments [against Tedros’ candidacy] on the lack of “democratic governance” in Ethiopia simply does not bite that strongly. ONE NEEDS TO BE VERY VERY SPECIFIC. In his personal capacity, Tedros has abused his offices in many many ways, and it is these abuses of office that are highly relevant to the issue at hand, they need to get dug out and presented to the rest of the world. “PBS supports five specific service sectors—health, education, water, agricultural extension, and roads—which are delivered at the local level by civil servants, woreda and kebele officials, teachers, nurses, development agents, doctors, and Ministry of Health officials. They did measurements of the women and children; then, those that could not pay or the opposition party members were left out. Those who are doing the assessment are government workers, working in cooperation with GOAL [an NGO] since March 2009. The poor ones have another chance to get it, next time, if they can pay, but the opposition members cannot get it at all…. There are many children whose bellies are swelling. There were numerous similar reports, some specific to scandals within Ministry of Health. For instance, the Millennium Development Goal achievements were entirely based on fabrications, such as reporting constructions of bird-nest-like clinics all over Ethiopia, without any facilities. Even then, it was only a number game – if 100 were built, 500 were reported. There were times when auditors from international organizations demanded to see all clinics but the authorities refused access to all, limiting access to a few locations, as samples. Those that were actually built do not actually qualify to be called clinics. They are often manned by a couple of semi-literate locals who were rushed through mock training over a few days and the so-called clinic was handed over to them. The clinics were built for two purposes: (a) business opportunities for the crony construction contractors at inflated budgets (b) create fake success story to report to the rest of the world. Andhanom was never concerned about the health and welfare of Ethiopians. There were times when the authorities stood firm, demanding that they could use the funds they received the way they want. The reason was they did not want to even play around with building clinics. They could divert funds away from improving access to health facilities by building clinics, towards other facilities, e.g. buying medicine for HIV AIDS. This change was often reported as “re-prioritization” but the actual motivation was that it was much easier to embezzle HIV AIDS money than clinic budgets. They could provide fake invoices for procurement, report inflated beneficiary numbers, etc. “…by ignoring many unpleasant details that have facilitated corruption in Ethiopia’s ministry of health, when Dr. Tedros Adhanom was the minister (2005-2012) – aid money from governments and philanthropists have been lost in several millions from those that needed treatments for HIV/AIDS in a country that has claimed hugely its toll in lives. 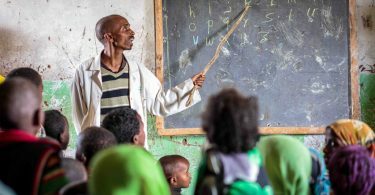 It is the severity of the US cuts that made Amanda Glassman, Director at Global Health Policy and a senior fellow at the Center for Global Development, to lament writing on PlusNews on January 9, 2013, “There’s an AIDS spending cliff in Ethiopia, and the government is already in free fall. Next year, Ethiopia will experience a 79 percent reduction in US HIV financing from PEPFAR [the US President’s Emergency Plan For AIDS Relief]”. Moreover, the reporting by the Center for Global Development in 2006 touched upon malaria prevention and treatment with funds made available by international donors being exposed to abuses. The concrete problems included the sale of unauthorized medicament, whose consequences were not either felt at the time or least anticipated due to the high financial flows from donors into the country when the candidate was minister of health. For all the money donated by the international community, there is little improvement of health outcomes directly attributable to those funds. For instance, there are over 14 hospitals in Tigray alone. In the south, three regions have less than 14 hospitals combined. There is chronic shortage of primary care facilities; the death rate from preventable diseases is still unacceptably high. Many lakes, rivers, and creeks are polluted by farm and industrial chemicals. Al Jazeera and BBC have reported on the increasing rate of cancer and other diseases directly attributable to human activity. In a cholera outbreak in Oromia in 2008, scores of people died; the response of the ministry of health was inadequate, to say the least. Despite laboratory identification of V cholerae as the cause of the acute watery diarrhea (AWD), the Government of Ethiopia decided not to declare a “cholera outbreak” for fear of economic repercussions resulting from trade embargos and decreased tourism. The government, in disregard of International Health Regulations, continually refused to declare a cholera epidemic and largely declined international assistance. The United Nations Office for the Coordination of Humanitarian Affairs reported unacceptably high case fatality rates (in 3 of the 5 affected Oromia zones (Guji, East Shewa, and Bale). In October 2016 (when Dr. Tedros was still Foreign Minister), Ethiopia’s Ministry of Foreign Affairs posted a blog on its official website in response to Human Rights Watch’s reporting on Ethiopia. The piece accuses Human Rights Watch of baseless allegations, intentionally misleading its audience, and propagating “scare stories.” It focuses on the NGO’s response to an October stampede during an anti-government protest at an annual festival in Oromia, though addresses Human Rights Watch’s reporting in Ethiopia more generally. Yet Human Rights Watch is widely recognized to employ a gold standard of research. The above-mentioned report, for example, was based on more than 125 interviews, “court documents, photos, videos and various secondary material, including academic articles and reports from nongovernmental organizations, and information collected by other credible experts and independent human rights investigators.” All material in the report was verified by two or more independent sources. I do not know the answer, or the veracity of other charges that Ethiopian diaspora organizations have lodged. In his role in the TPLF and EPRDF power structures, is it possible that he tried to change things from the inside, using his position of power within the government to oppose the government’s repression?